(February 8, 2015)- Last night around 8:40 PM, Cape Coral Police responded to the intersection of Del Prado Boulevard and Hancock Bridge Parkway on a multi-vehicle crash involving an SUV and two motorcycles. Multiple units responded to the scene to render aid, conduct the investigation, and direct traffic. A Ping4alert was sent, warning drivers in the area to seek an alternate route. Officers determined that the SUV, driven by Joseph J. Scafuri, was northbound on Del Prado Boulevard when it entered into the left turn lane at Hancock Bridge Parkway and struck a motorcycle driven by Aaron William Pfuhl. Pfuhl's motorcycle was propelled into another motorcycle, driven by Benjamin Lewis Hale, as a result of the impact. Both motorcyclists were stopped for traffic at the time of the crash. The crash resulted in serious bodily injury to Pfuhl, who was trauma alerted to a local hospital. Hale reported no injuries at the time of the crash. Cape Coral Police Department Patrol, Major Crash Investigator, Forensics, and Victim Advocate personnel responded to assist in the investigation. While conducting the investigation, Officers observed signs of impairment from Scafuri. Officers concluded the crash investigation and began a DUI investigation. As a result of their findings, Scafuri was placed under arrest. LOCATION: Del Prado Boulevard / Hancock Bridge Parkway. VEHICLE 1: A white, 2001 Ford Explorer SUV. DRIVER 1: Joseph J. Scafuri, W/M, DOB:11-19-1954, of 232 SE Van Loon Ter Cape Coral FL 33990. DRIVER 1 INJURIES: Scafuri suffered minor injuries in the traffic crash however refused medical treatment. VEHICLE 2: A black, 2013 Harley Davidson, Motorcycle. DRIVER 2: Aaron William Pfuhl, W/M, 43, of, Cape Coral, Florida. DRIVER 2 INJURIES: Pfuhl suffered life threatening injuries as a result of the traffic crash and was trauma alerted to a local hospital. VEHICLE 3: A black, 2007 Harley Davidson, Motorcycle. DRIVER 3: Benjamin Lewis Hale, W/M, 45, of Cape Coral, Florida. DRIVER 3 INJURIES: Hale reported no injuries at the time of the traffic crash. Vehicle # 1 was North bound on County Road 867A, Del Prado Boulevard South in the inside lane. Vehicle # 2 was North bound on County Road 867A, Del Prado Boulevard South in the left turn lane, side by side with Vehicle # 3 who was stopped for traffic. Vehicle # 3 was North bound on County Road 867A, Del Prado Boulevard South in the left turn lane, side by side with Vehicle # 2 who was stopped for traffic. The driver of Vehicle # 1 failed to maintain his lane and entered into the left turn lane. Vehicle # 1 struck Vehicle # 2 on the right side. Vehicle # 2 was propelled into Vehicle # 3. After the collisions, Vehicle # 1 traveled North through the intersection and struck the raised cement median. Vehicle # 1 traveled over the cement median and struck a traffic sign. Vehicle # 1 continued to travel North through the median for a short distance and entered back into the North bound inside lane of Del Prado Boulevard North. Vehicle # 1 came to final rest in the inside lane. The driver of Vehicle # 1 suffered minor injuries as a result of the traffic crash and refused medical treatment on scene. The driver of Vehicle # 2 suffered life threatening injuries and was trauma alerted to a local hospital. The driver of Vehicle # 3 reported no injuries at the time of the traffic crash. Due to the injuries, MCI Corporal Nickolas Slover, Master Corporal Andrew Satterlee, Forensic Technician C. Potts and V.A. Pat Lucas responded. After arrival on scene, it was learned that Pfuhl's injuries were no longer life threatening, however he did suffer a serious bodily injury. Pfuhl's is in serious but stable condition. Next-of-kin notified. DUI Serious Bodily Injury ~ Felony of the third degree. 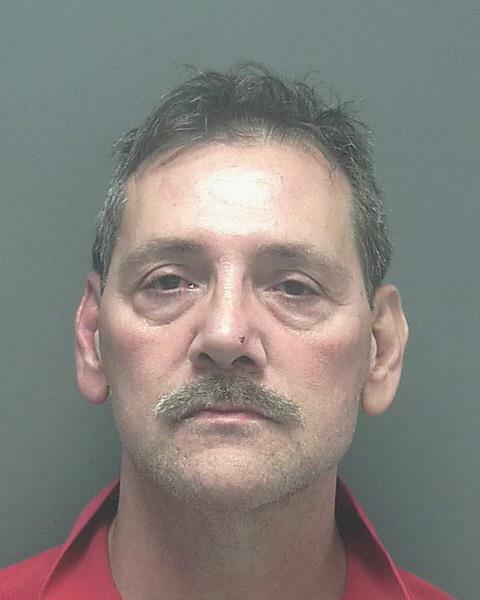 ARRESTED: Joseph J. Scafuri Sr., W/M, DOB: 11-19-1954, of 232 SE Van Loon Ter., Cape Coral. CHARGES: Driving Under the Influence, DUI Serious Bodily Injury (3rd Degree Felony), DUI Property Damage (x3).